I needed this camera today with IR mode on full manual control but it was of course locked by firmware in Auto-Mode when switched to Nightshot. Aaarrrgh! 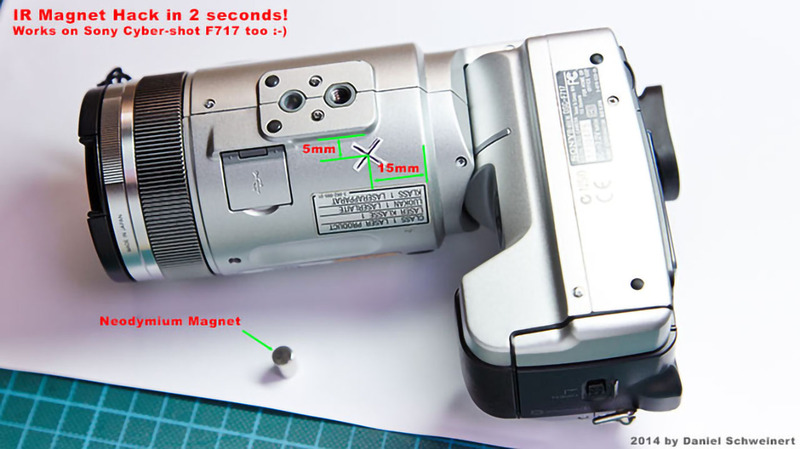 After thinking about how the internal mechanism could work I’ve opened it and found out how to easily move the IR-Cut filter from a Sony Cyber-shot F828 and still have full manual control. 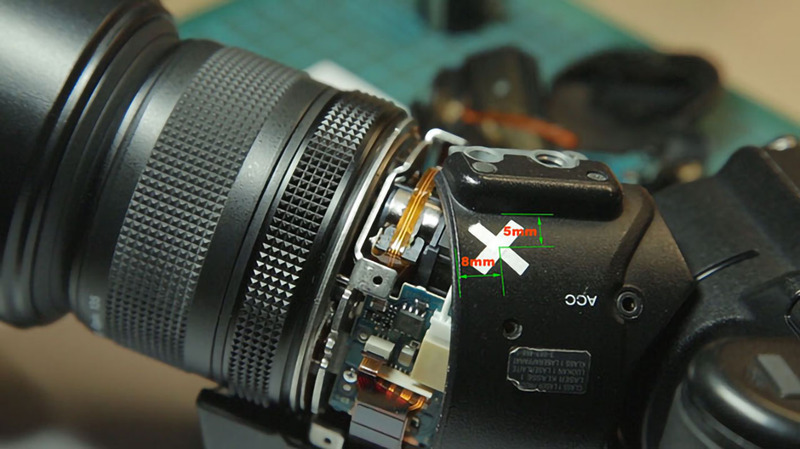 A tiny electromagnet inside the camera controls the IR Cut filter when switching to Nightshot mode. I’ve marked the position of that electromagnet on the housing. Now if you take a small but strong neodymium magnet you can control that electromagnet from outside and switch the IR Cut filter on and off in seconds. Just touch the marked location with the north or south pole of the magnet and the IR Cut filter will switch.